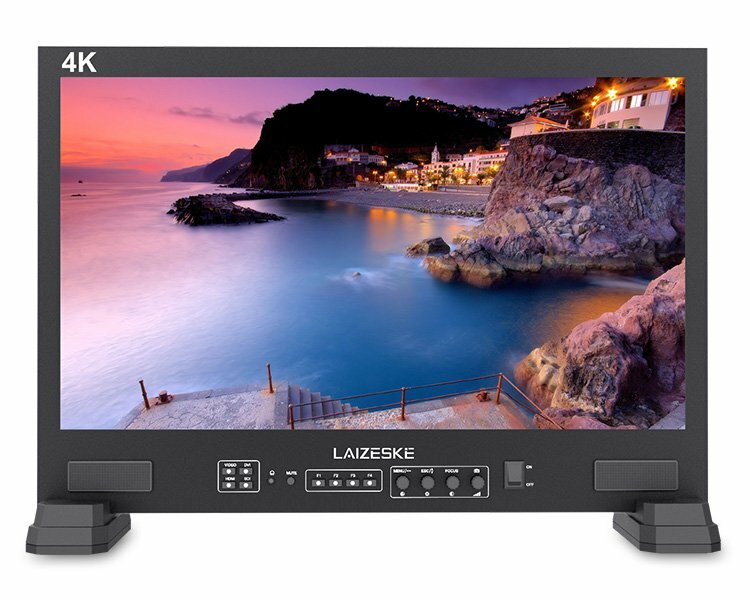 The 21.5″ Full HD Broadcast Studio Monitor from Laizeske supports 4K HDMI input/loop-through out and is suitable for broadcast control rooms, transfer facilities, and production houses. 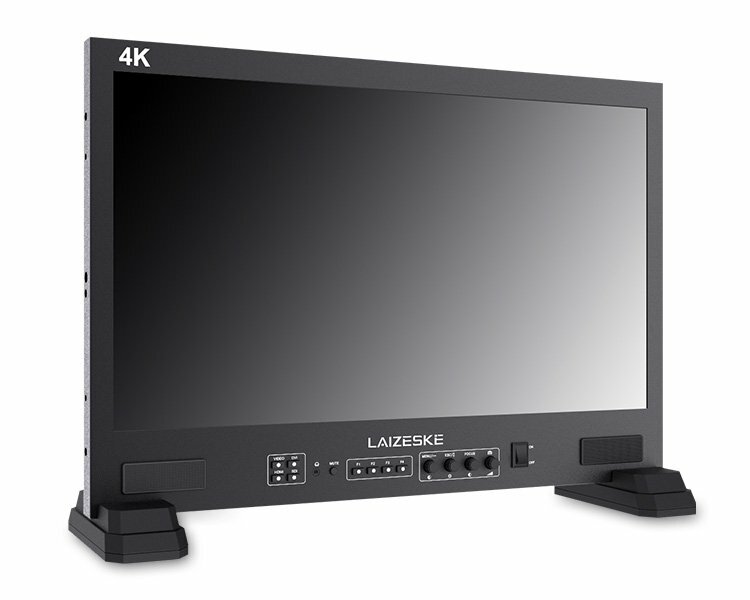 It uses Rec.709 HD color standard and color calibration technology. The monitor features four rotary encoder switches for immediate access to menu, saturation, brightness, contrast, focus, and camera mode. You can use a push-button for peaking, pixel-to-pixel, camera mode, center marker, screen marker, and other functions. 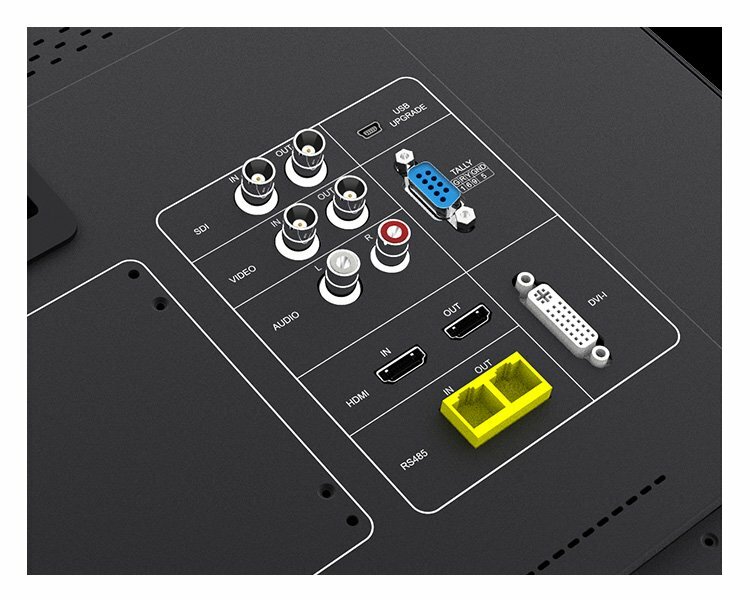 The monitor comes with HDMI, 3G-SDI, BNC video, 2RCA audio, RS-485, and DVI inputs. 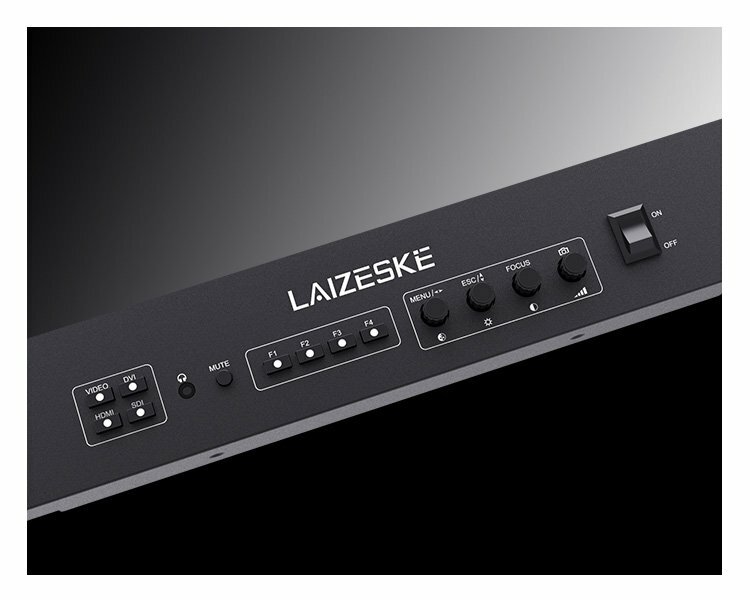 It also features HDMI, 3G-SDI, BNC video, and RS-485 loop-through outputs. This monitor supports UMD and Text-Tally display of TSL 3.1/4.0 protocol with 0-126 TSL address selection (maximum 16 letters displayed). 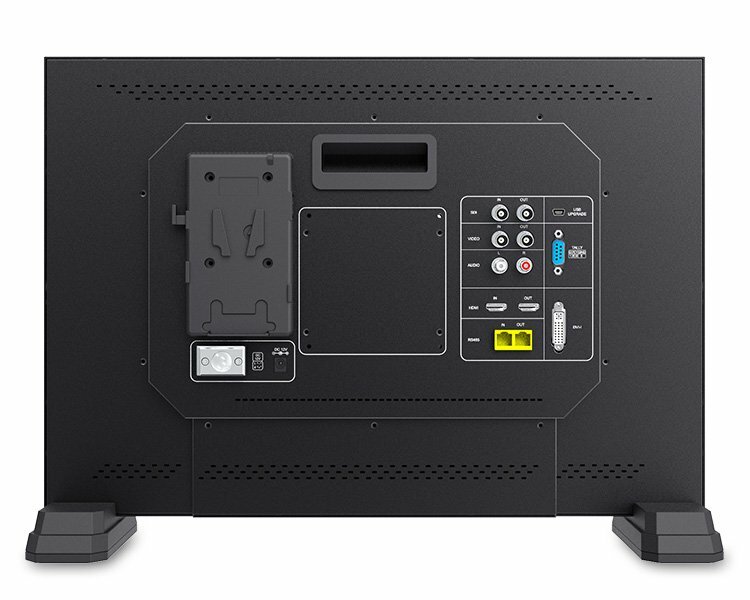 It can be powered by the included power adapter, and includes a V-mount plate for battery support (batteries sold separately).